We have just arrived back from our 4 night break at Disneyland Paris, and we are all still on a high. It was the best week of our lives! 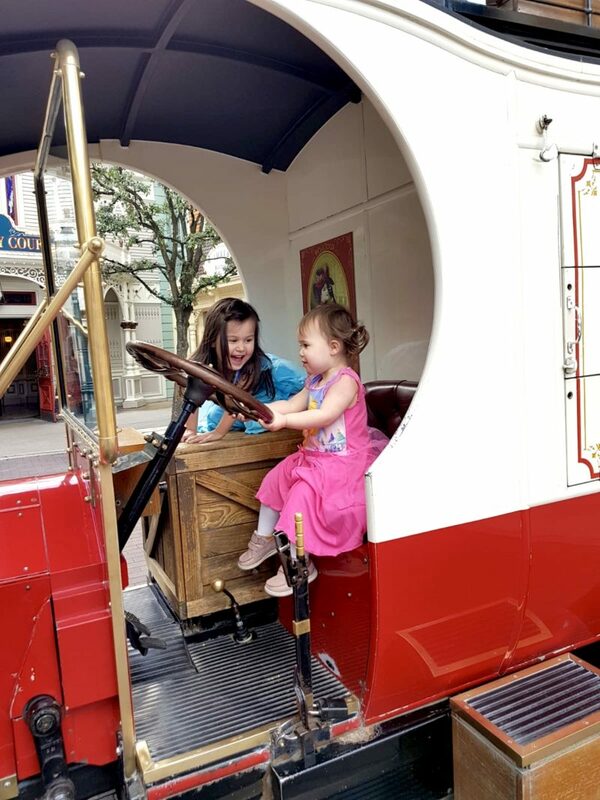 We have cried happy tears several times, the Disney magic really is intensified then you are sharing it with your little ones and there were so many sweet moments I felt like my heart would explode several times a day. 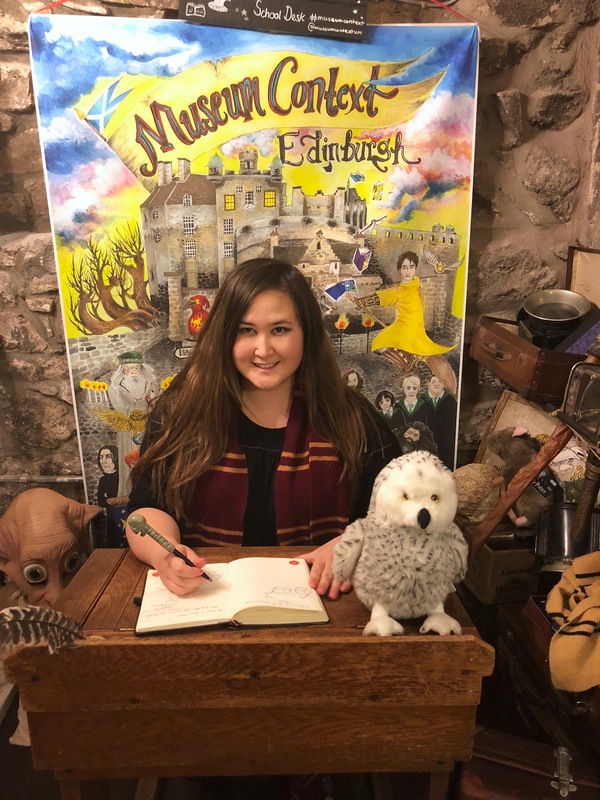 We booked a package deal with a company called Magic Breaks, although we did compare with other agents too as well as Disney direct. They all offer varying Disneyland deals which change throughout the year. The package offer we used was a 20% off with a free full board dining deal. These deals are almost always available but they change every few months. It may be free nights (which is one of the most popular deals people watch out for as it can save you a lot off the package price) or free dining plans or a percentage off, etc. Watch out for the deals and make use of them! Initially I thought about holding out for a free nights deal, but as we booked fairly last minute I decided to just take the current offer. I wouldn’t have usually gone for a full board package but now that we have experienced Disneyland I am so glad we did. The food is very expensive. If you and your family don’t eat much and can make do with just breakfast and dinner with snacks in between then you probably won’t find it too much of a problem. But we are BIG eaters. We love our food, we live for food, we dream of food…so actually being able to eat to our heart’s content without having a stroke at the the sight of the food bill each day turned out to be a godsend. 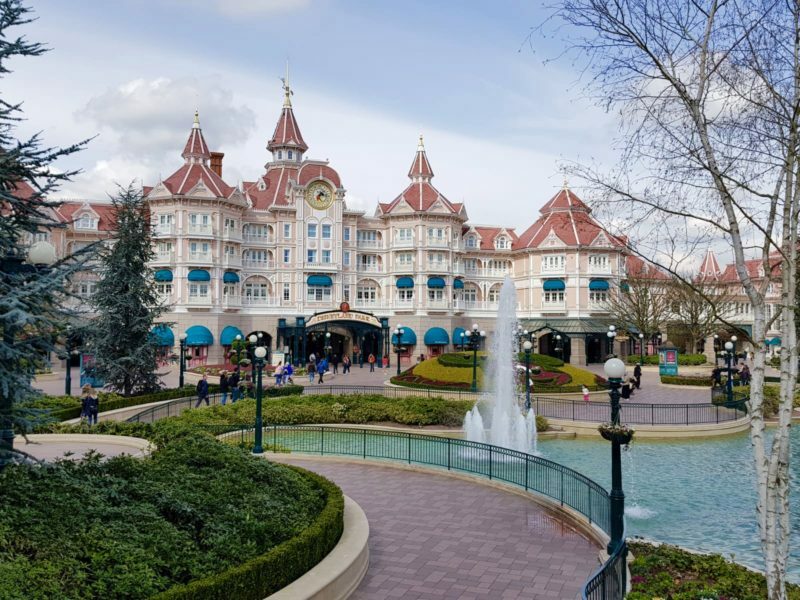 There are lots of different hotel options at Disneyland Paris, staying at a Disney partner hotel off site (Kyriad, Explorers, etc) is absolutely often a lot cheaper. You will also normally get a free breakfast buffet included and shuttles in and out of the park. I think that staying on site in a Disney hotel is well worth the extra money if you can stretch a bit further when you have toddlers with you. The main reason? Extra Magic Hours. Extra Magic Hours refers to special access that Disney hotel guests have to the parks before they open. Typically 8:30-9:30am. 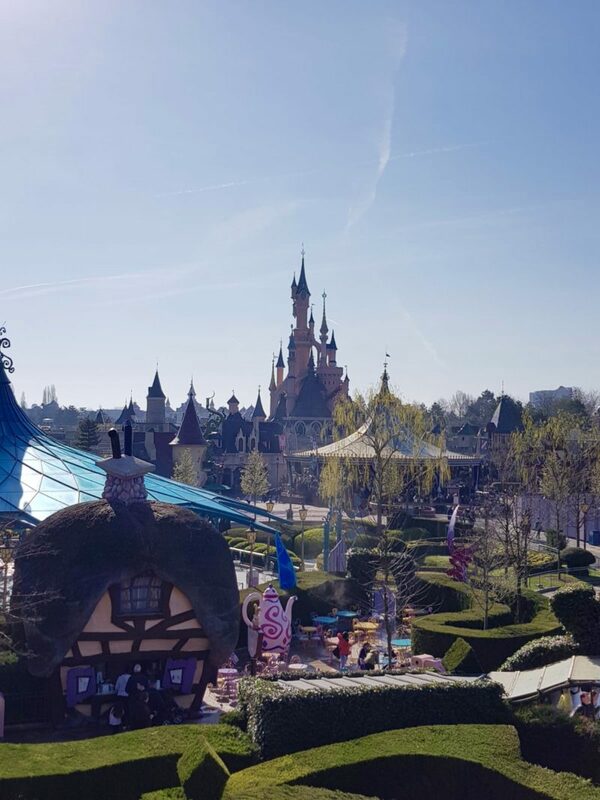 We had a wonderful time at Disneyland Paris and a big reason for that was being able to go to the parks early on and go on lots of the rides before the general public were permitted entry. We ended up doing most of the rides during these hours with no queues whatsoever. Queues are never fun. But they can be downright awful if you have a restless toddler with you. If you can avoid queuing with young children as much as possible you will have a much happier holiday at Disneyland Paris in my opinion. There are several Disney Hotels including the Santa Fe, Cheyenne, Sequoia Lodge, Newport Bay and Disneyland Hotel. I have listed them in ascending price order. So typically Santa Fe is the cheapest and the main Disneyland Hotel is the most expensive. There is also the Davy Crockett Ranch off site which does still get Extra Magic Hours. We stayed at the Newport Bay Club Hotel. 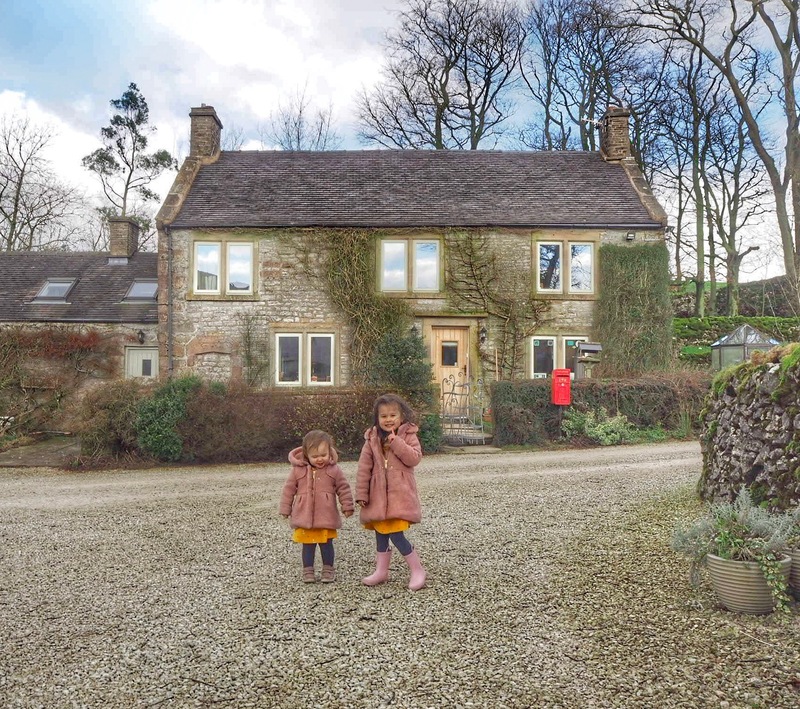 We loved it, it was beautiful, our rooms were big and spacious even with a cot. There was a swimming pool and two amazing restaurants, and it was a short walk in to the parks each morning around a beautiful lake. As we were getting a dining plan included in our Disneyland Paris package, this was a consideration when choosing a hotel. There are 3 tiers of dining plan, Standard, Plus and Premium. The two cheapest hotels include the Standard plan (mostly counter service or fast food) if you do have a dining plan included. However if you stay at Sequoia Lodge or Newport Bay your dining plan is upgraded to Plus which allows you to eat for free in many more restaurants. 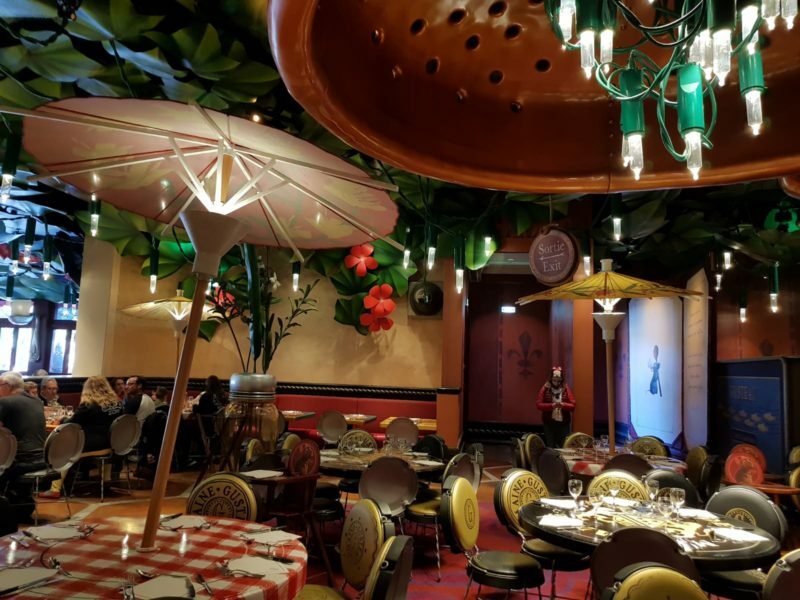 If you’re feeling really fancy then the Premium plan allows you to eat at all the character meals and Buffalo Bill’s Wild West Show for free. We only planned to do one character meal during our Disneyland Paris holiday so we chose a Plus dining plan by staying at Newport Bay. We could still use our Plus dining plan vouchers on our character meal, we just needed to top up the difference. We absolutely loved our dining plan. By the end of our trip we added up all of our food bills and it came to over £1000 for 5 days. Apart from the extra £100 we had to pay to top up our Princess Lunch at Auberge de Cendrillion, it was all free! The food is very expensive. I think you probably could eat cheaply, however it may involve a lot of trips to McDonald’s and other fast food type places. Which is fine I guess for a short time! 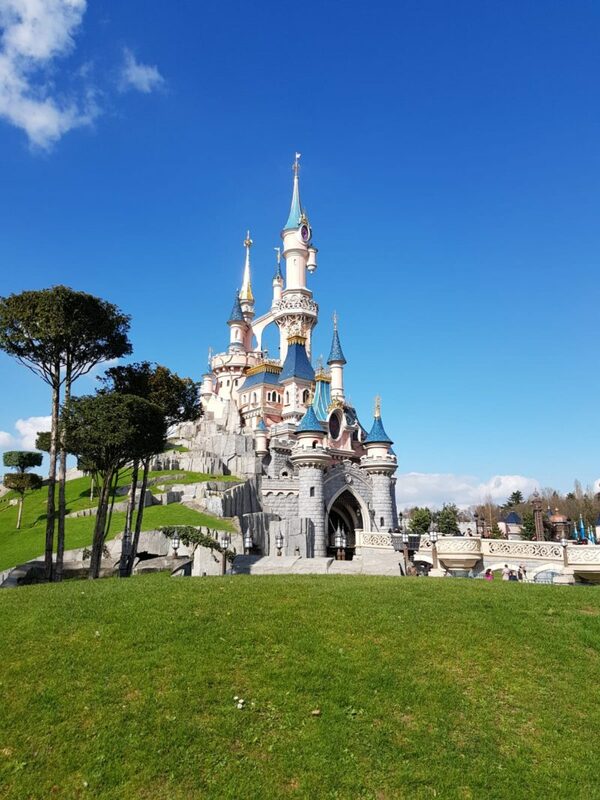 But we do really love our food and we ate like Kings during our stay at Disneyland Paris and I am really pleased we decided to go for a dining plan. Knowing the food was included meant we could go to the best rated restaurants and eat guilt free. We didn’t need to consider how much it cost. I also think a half board dining plan would be good too as an alternative to full board as I am aware a lot of people aren’t as food mad as us and a big meal in the evening is probably sufficient for many! At the table service restaurants, the dining plan included a three course meal for all of us (except Ariel as she was under 3 and was expected to eat from our plates, which she did with no issues) and a soft drink each. There is a set menu to choose from. At the buffet restaurants the dining plan included the price of the buffet (usually 35 euros per adult and 25 euros per child at Cape Cod for example – told you it was expensive!) and a soft drink each. Whether you have a dining plan or not…I highly recommend looking in to some of the restaurants beforehand and booking tables in advance if you can! Again, queuing with toddlers is no fun at all, and that includes at restaurants too! The Newport Bay Club Hotel provided a cot in our room and bedding. We took a double buggy and there were lifts to get to our rooms and down to the lake. I worried about where I would get milk from for Ariel as there are no fridges in the room, but the hotel restaurants and bar were more than happy to take my bottle and wash it and fill it with milk for free. They said to just come and ask. We ran out of nappies on our last day and searched for somewhere to buy them. They had a limited selection to buy at the Disneyland Hotel shop, and we soon found the Baby Care Centre next to the Plaza Gardens Resturaunt in the main park which also allowed you to buy nappies individually at 1 euro each. We bought 5, rather than commit to the 20 euros they wanted for a small pack. There is also a small convenience store in the train station that sells nappies but we found that out too late! 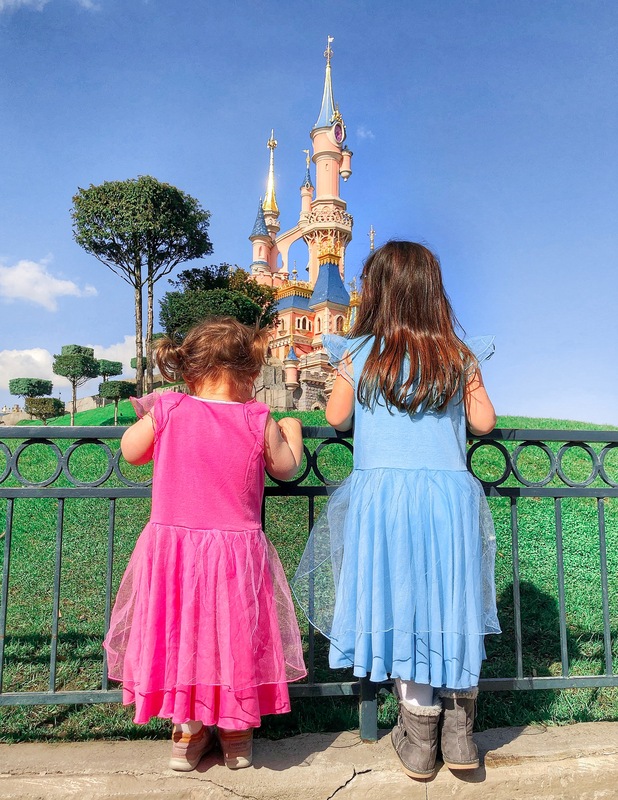 I booked our Disneyland Paris trip last minute because I suddenly panicked that my eldest April would be starting school in September and we wouldn’t be able to go outside of school holidays after that ever again. Going off peak is so much cheaper, and also quieter. We went 18-23rd March and it was not too busy, for the rides we did queue for we waited no longer than 25 minutes except for one which was an hour, not really sure why. Going at that time of year is a bit of a risk weather wise but it paid off for us as it was glorious sunshine in Paris that week. I did worry about the children perhaps being a bit too young to make the most of it (they are 2 and almost 4 years old). I was so wrong, there was so much for them to do! 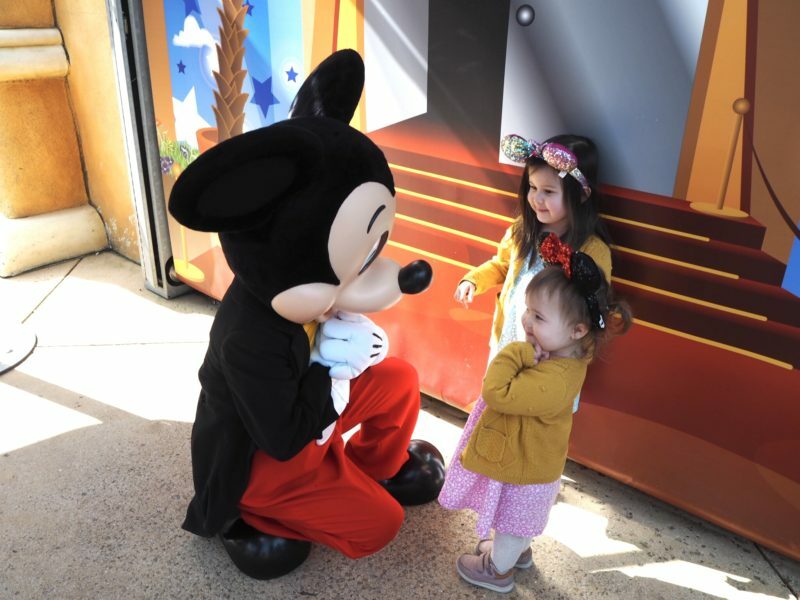 And of course the many character meet and greets that you will spot as you explore the parks! 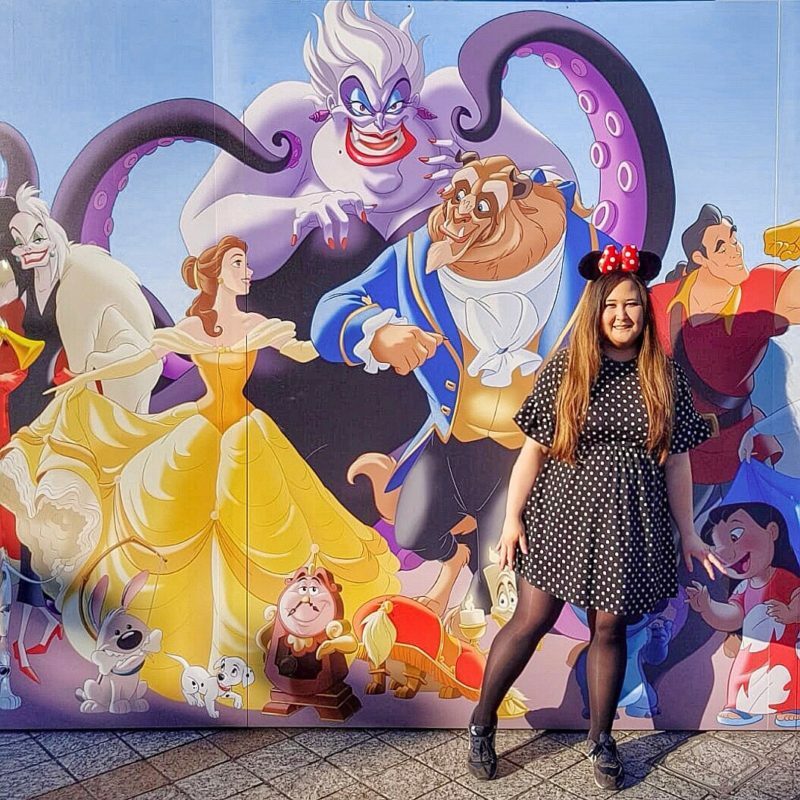 Our meet and greets were some of the biggest highlights of our Disneyland Paris holiday. 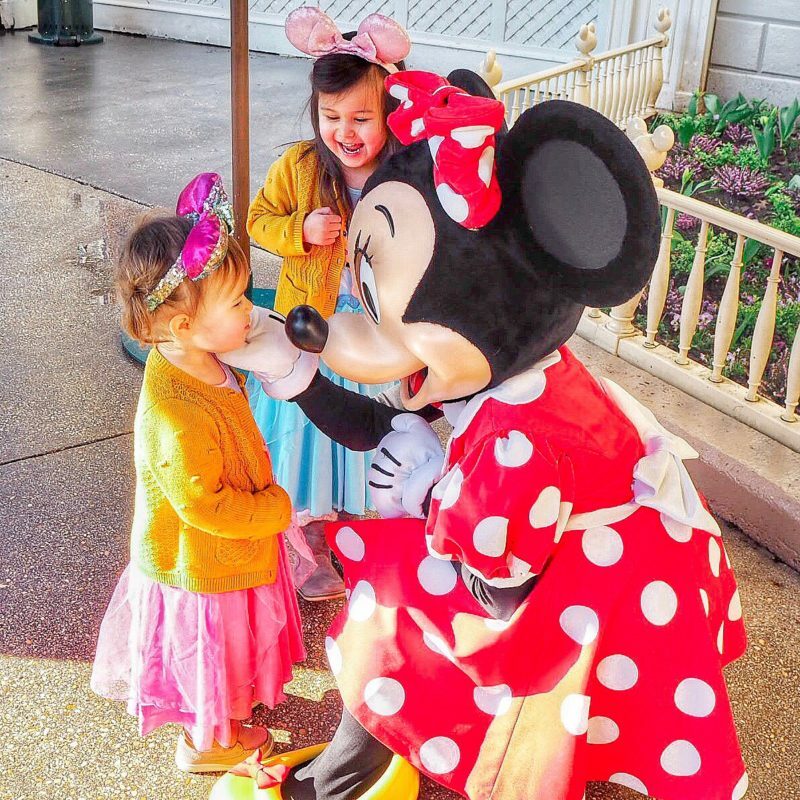 There’s nothing quite like watching your toddler’s face light up as they spot Minnie Mouse for the first time, my heart honestly exploded when I watched my children run in to Minnie Mouse’s arms squealing with happiness. There are usually lots of meet and greets dotted around the two parks that you can queue up for. My two girls love the Disney Princesses, and there is a specific place called the Princess Pavilion next to the It’s a Small World ride where you can queue to meet a princess. The princess changes all the time and it’s random each day, but it will say on the board outside who is in the Pavilion at that time. However – every time we walked past the queue time was 90 minutes. 90 minutes with toddlers might as well be 90 years. 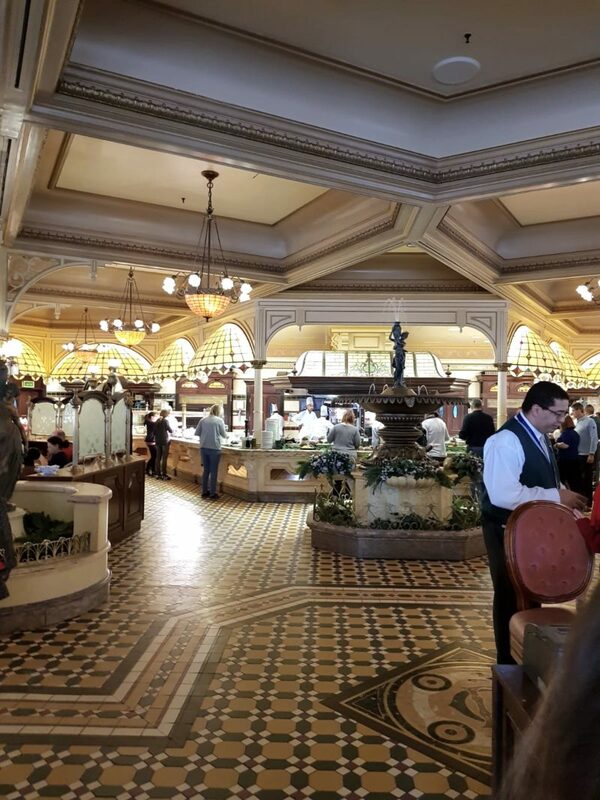 We decided to spend a bit extra and pay for the Princess Lunch at Auberge de Cendrillion. 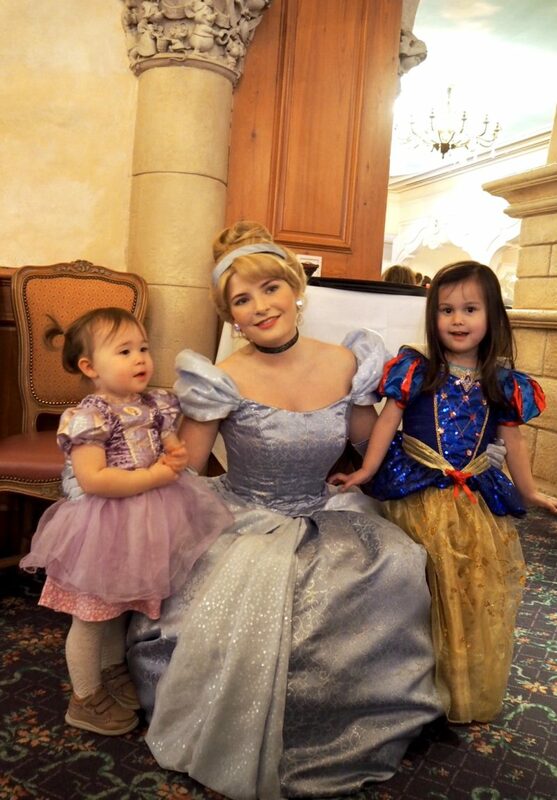 Our girls love the Princesses and it was what they were most excited about so it was well worth it for us to pay the extra to have a three course meal and have four princesses come and meet them without the need for queuing. It was more relaxed and they got to chat and ask questions and take photographs. It was a highlight for us and the children are still talking about it. 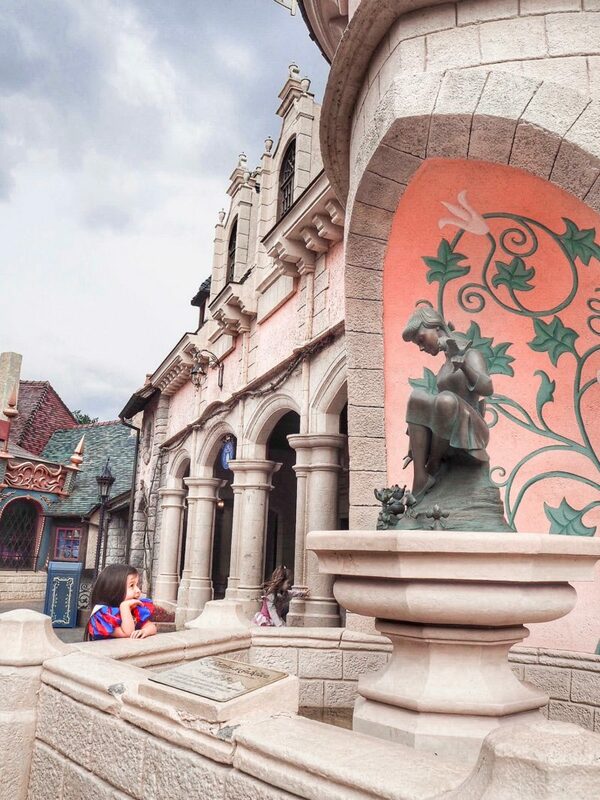 They met Belle, Ariel, Cinderella and Aurora – as well as two of Cinderella’s mouse friends. We used our dining plan voucher and paid the difference which turned out to be 100 euros. Expensive yes. 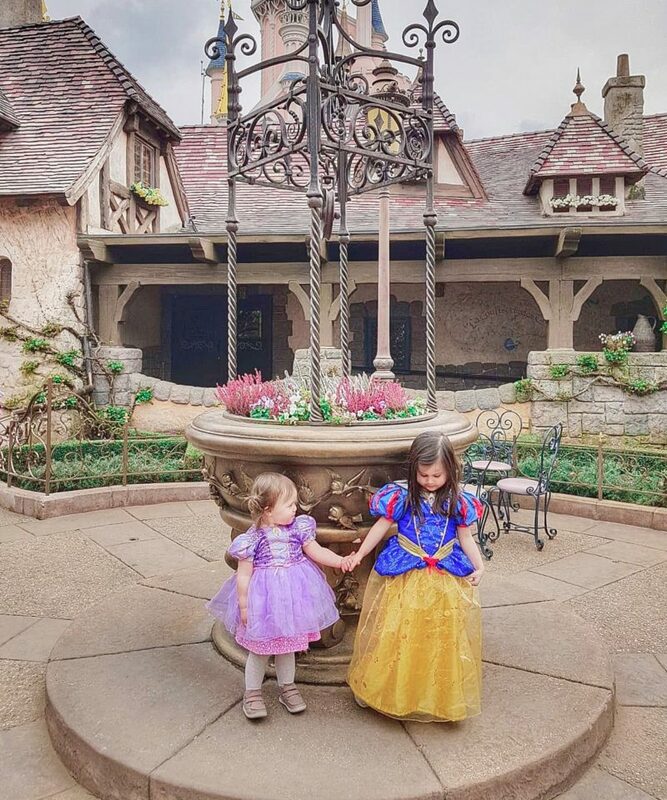 But as we had not spent any other money on our trip and because meeting the princesses was a priority for us we decided it was a must. So glad we did it! Tip: Download an app called Lineberty and use it to book character meet and greets in the Disney Studios Park so you don’t have to queue. 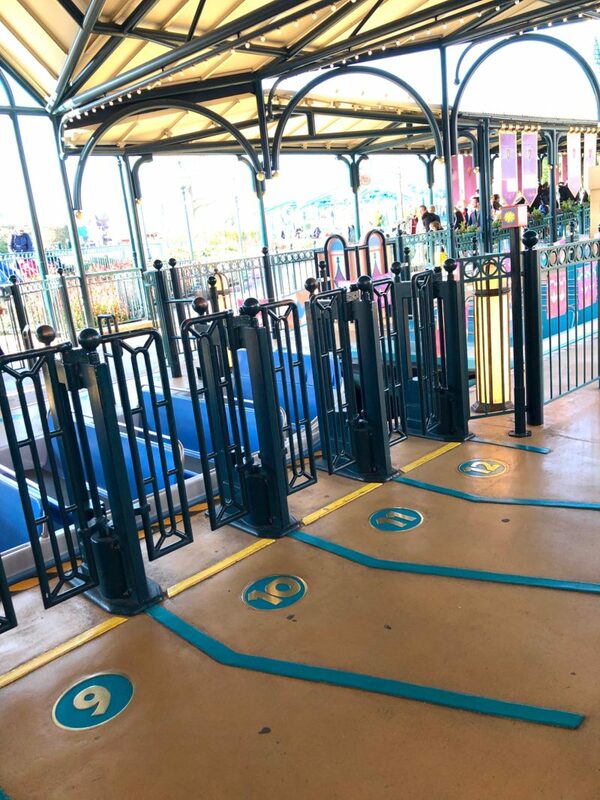 Always trying to avoid queuing with toddlers at Disneyland Paris! The slots will open 15 minutes before the stated meet and greet times in your park programme. Eg. During our stay the Mickey meet and greet opened at 10am according to our programme so I logged on at 9:45am and booked a slot for later that day. 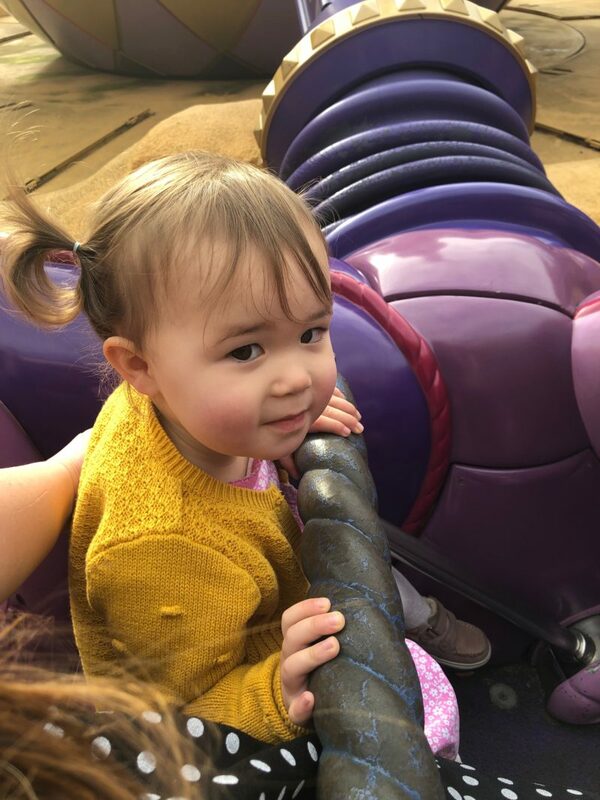 In summary there is so much to do with toddlers on a Disneyland Paris break! We were there for 4 nights (5 days worth of park tickets) and we didn’t run out of things to do at all. 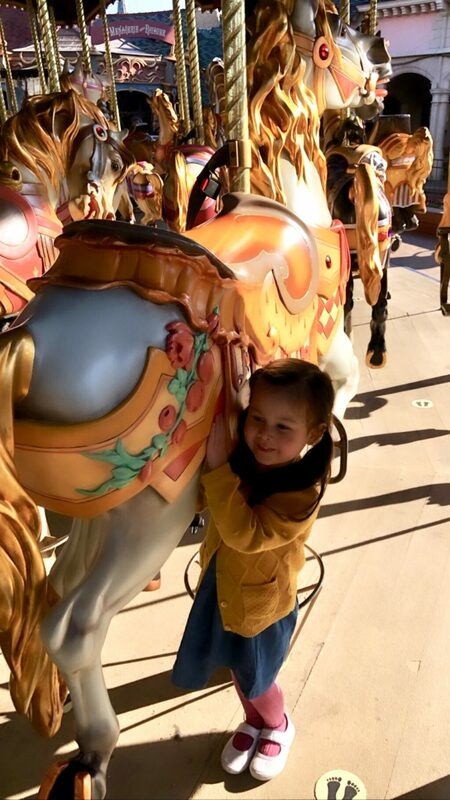 We spent the mornings going on rides before the park became busy, took it easy during the day with leisurely meals, shopping, shows and exploring, and then spent the evenings either watching the Parade and Illuminations or going on rides again while everyone else was occupied with the Parade! Take a buggy. (We walked about 20,000 steps each day, and buggies to rent in the park are expensive.) We took our Zeta Citi Twin Buggy. Buy Minnie/Mickey ears and costumes before you go. I spotted a Snow White dress similar to the one I brought from home for April and it was 70 euros to buy in the Disneyland Park. Wow. Plan for all weather, sun cream and hats, and umbrellas and raincoats. Weather is as changable as the UK and many of the queues are outside exposed to the elements. Download the Magiparc app for live queue times aswell as Lineberty for meet and greets. Book restaurants in advance if you can. Take concentrated fruit squash/cordial. We lived on this stuff. Take a bike lock for your buggy if you are worried about thieves. We didn’t bother as our buggy is cheap and scruffy anyway ha ha! 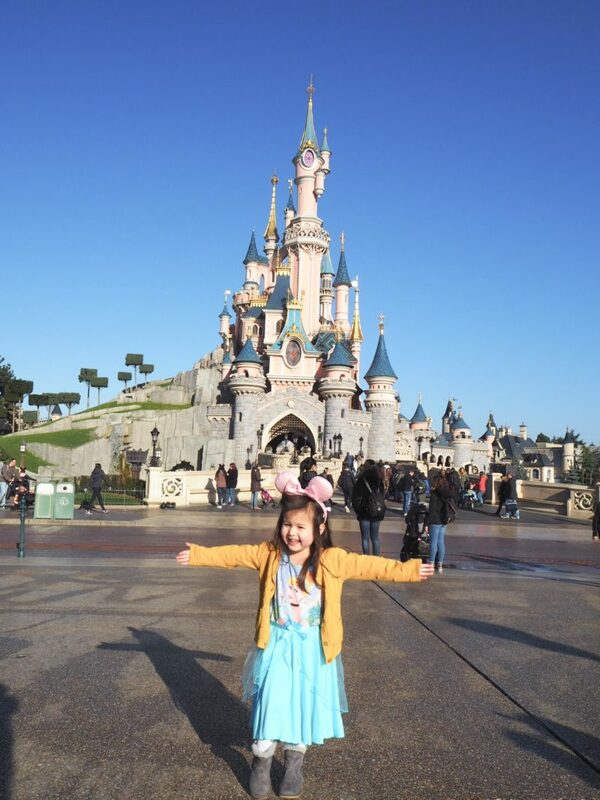 For our Disneyland Paris package we paid £1600. This was for our Eurostar tickets from St.Pancras in London, our 4 nights hotel and full board dining plan as well as 5 days worth of Disneyland park tickets. We spent only 250 euros in total while we were there, on the Princess Lunch, souvenirs and a couple of drinks outside of our dining plan. However, included in the £1600 was an extra £100 that I paid for April to have her own seat on the Eurostar. She could have traveled for free if she sat on our laps but I wanted her to have a chair. 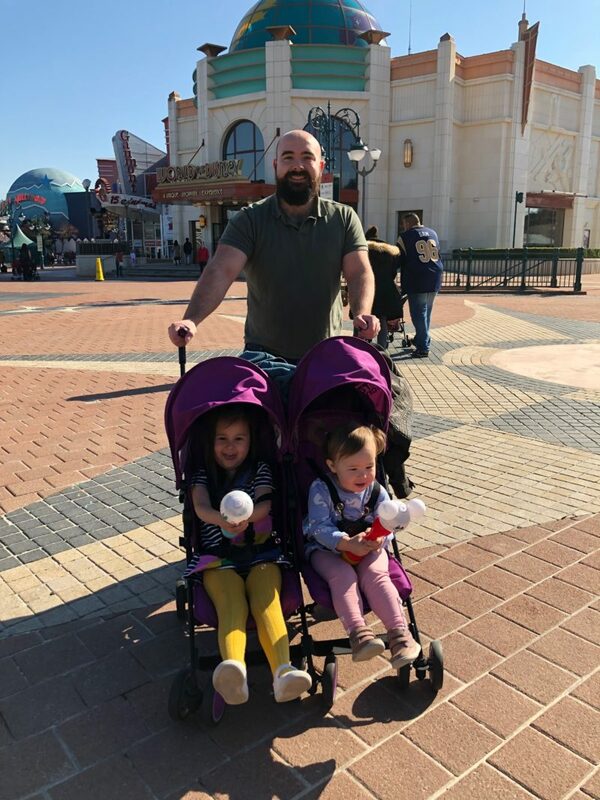 So if you are happy to have your toddlers on your laps for the journey (was under 2 and a half hours direct to Disneyland) that would knock some money off the price of the Disneyland break. I also chose to pay extra to stay at the Newport Bay Hotel. 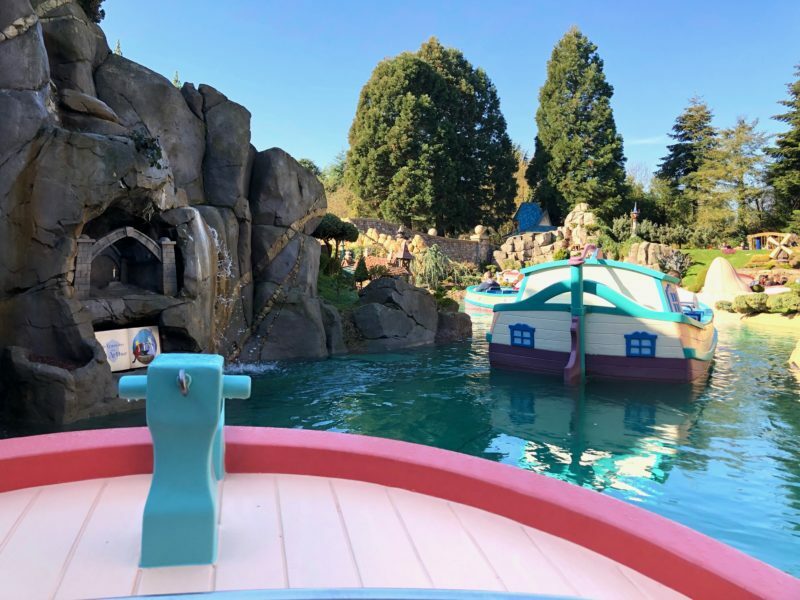 You could save another £150 ish again by staying at the Sequoia Lodge (which is still set on the beautiful lake, is a short walk from the parks and still gives you the Plus dining plan if you do have one included). 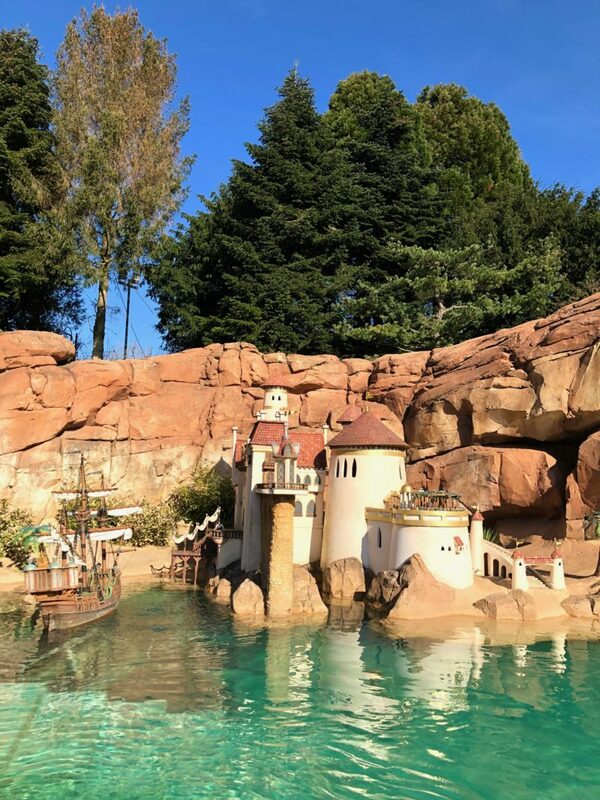 Or to save even more money you could choose one of the cheaper Disney Hotels (Santa Fe or Cheyenne) and you would still have early access to the parks, although any dining plan you may include would be Standard and not Plus. To reduce the cost even further, you could book for 3 nights, or even 2. We stayed for 4 nights and we did everything we wanted to at a comfortable relaxed pace, (with lots of sit down three course meals) but I do think that a 3 night stay would have been more than enough time to do it all also, and a 2 night break would allow you to do most things and have a wonderful time too. 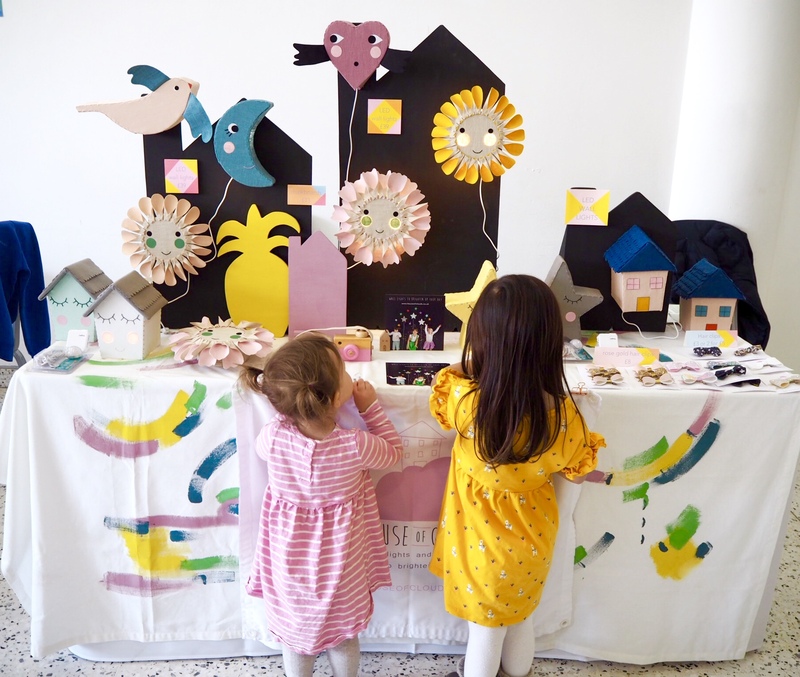 As I said before, booking a hotel off site would save a few hundred again in all likeliness but for us the extra magic hours were invaluable for getting things done with toddlers without queuing. 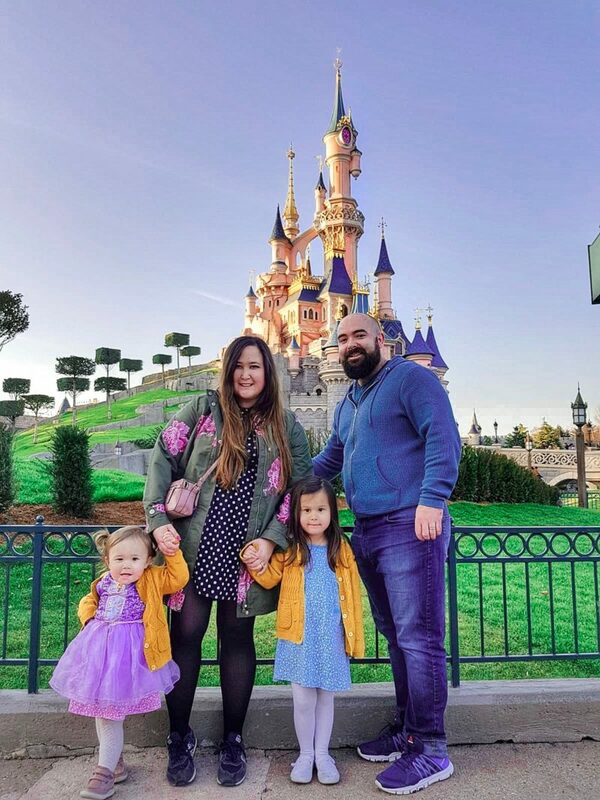 So I paid £1600 for our Disneyland holiday package, for the 4 of us but we could have spent a few hundred less with a few tweaks. However, as I said before, April is starting school in September so if we ever come again it will likely be in school holidays, and we will probably not be willing to pay the hiked up prices for the more expensive hotels like Newport Bay – so we decided to spend a bit extra to experience it while we can. We have had the time of our lives and the best week we can remember. It is relatively expensive for a 5 day getaway but Disney is rarely cheap, and the memories we have taken away are priceless. We feel we got good value for money and had some really unforgettable experiences. 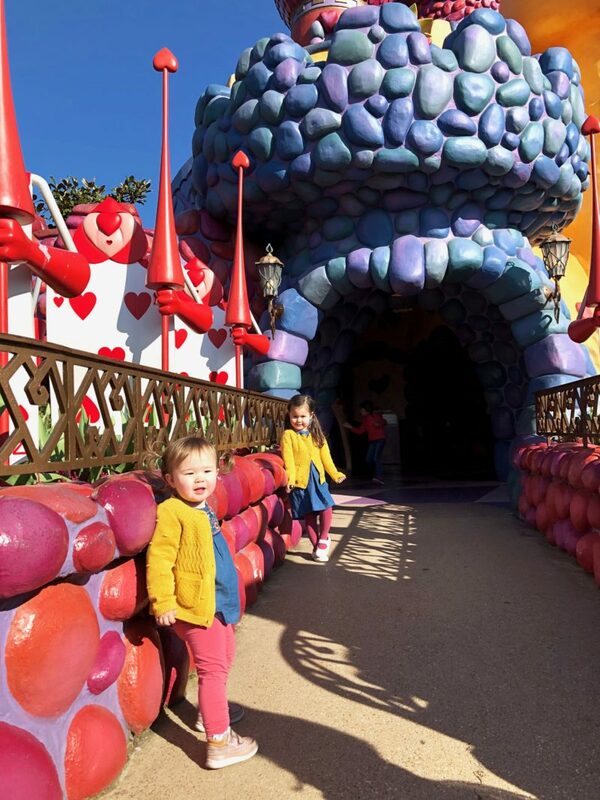 We are so glad we decided to take our toddlers to Disneyland Paris, there is something special about being there with children at that age – it’s extra magical. Both my husband and I have been so emotional on our trip at seeing how happy and full of excitement the children have been, and we will treasure that for the rest of our lives. I wouldn’t have changed our Disneyland holiday for the world. If you are planning a trip to Disneyland, I hope you have an absolutely amazing time! And please don’t hesitate to contact me if you have any questions about anything. 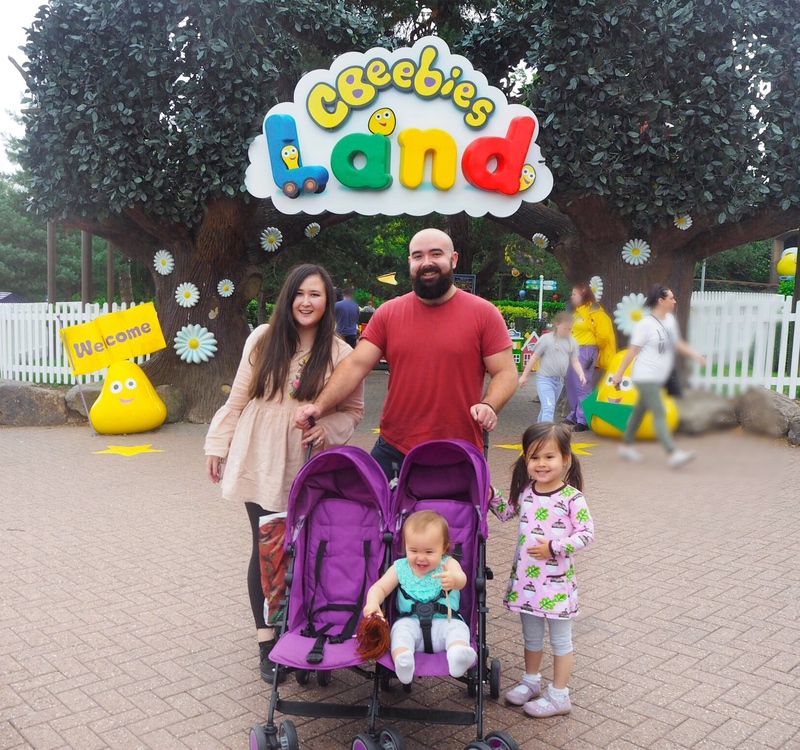 For another fantastic theme park mini break with toddlers, click for our our guide to Cbeebies Land. For a great first family holiday abroad you might like our guide to Tenerife with Kids. 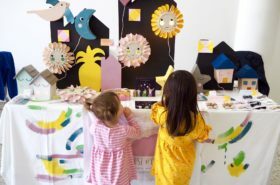 This must have been a truly magical experience for your little ones. Mine would love to go along although the buggy tip is a good one. My son couldn’t do that many steps. 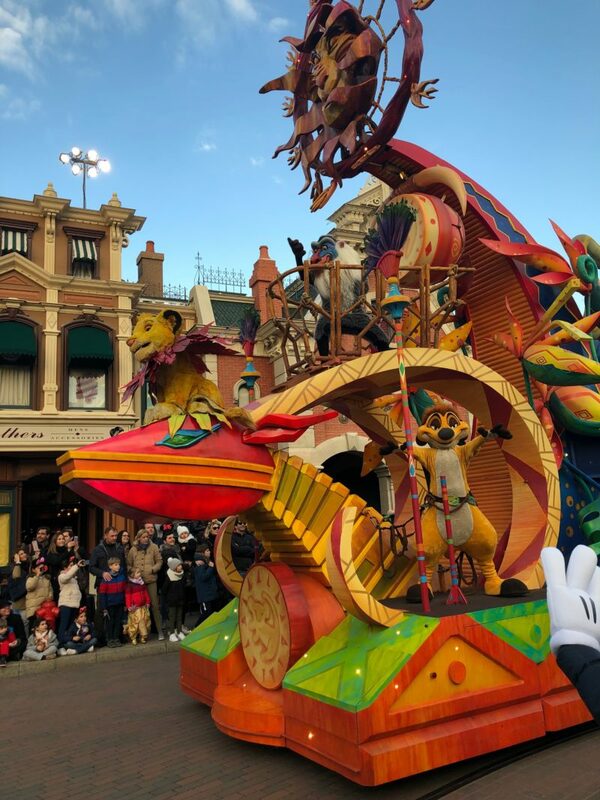 I love Disney and have been a number of times but never stayed on site before, I went on all the rides an adult can go on and it was absolutely magical. I love Disneyland Paris! I am going back for my 30th Birthday in October and I can’t wait! 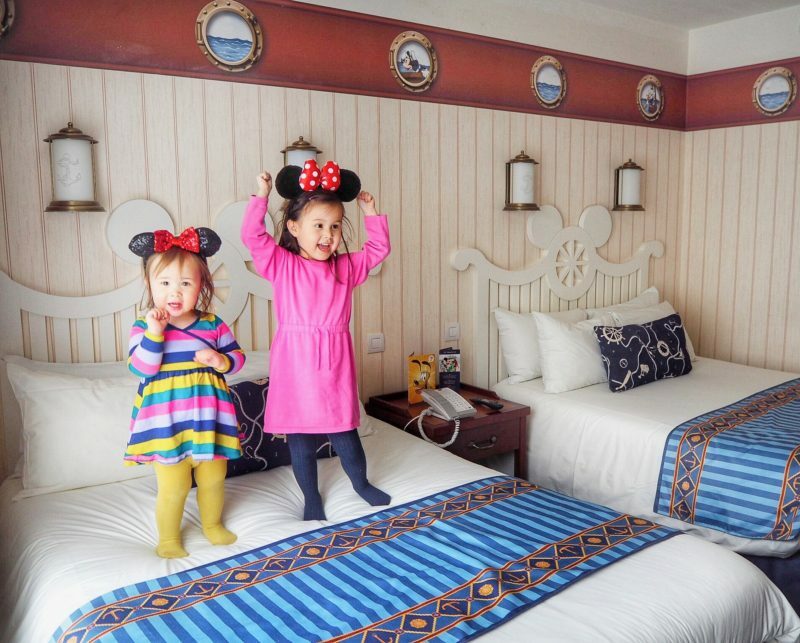 We can’t wait to take our little ones to Disney Land. So magical there!